Bringing you nearly 15 years of experienced, master bathroom design and remodeling in Chicago’s North Shore. With design-build remodeling, we can turn your existing bathroom into a luxury experience every time you step inside. 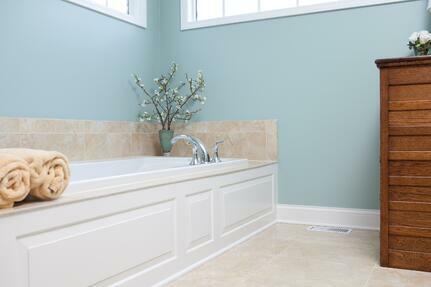 Remodeling master bathrooms require a seamless combination of style and functionality. Used every day without fail, it is imperative to blend contemporary conveniences while maintaining the owner’s favored amenities and design aesthetic. We understand that each home presents an unusual opportunity for master bath remodels, and take a thoughtful, sophisticated approach to design and construction. With over 15 years of dedicated experience, we have worked in nearly every type of home, molding bathrooms of all shapes and sizes. We have recieved countless testimonials from our past clients and have built a strong reputation in the Chicago area. Our clients often come back to us time and again which illustrates our unwavering devotion to producing gorgeous, sophisticated designs for our clients. One of the core reasons why our client's keep coming back is due to our established design and construction process. At the core of our process is the collaboration between our design team and our construction team. At each step of the remodel our team is in constant collaboration ensuring that the finished product meets our client's expectations. We invite you to take a look at our remodeling portfolio and discover our meticulous design process at work.